Hohhot Baita International Airport (simplified Chinese: 呼和浩特白塔国际机场) is an airport in Hohhot, Inner Mongolia, China (IATA: HET, ICAO: ZBHH). 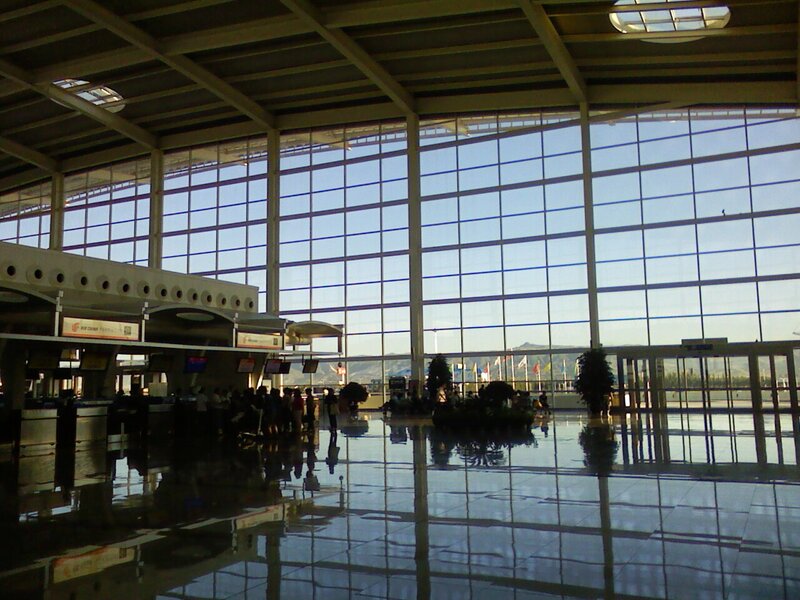 It is the largest airport in Inner Mongolia and lies 14.3 km (8.9 miles) east of downtown Hohhot. Its name Baita meaning White Pagoda derives from Wanbu Huayanjing Pagoda, one of the historical attractions in Hohhot which lies 5.6 km (3.5 miles) south-east of the airport. Hohhot Baita airport was opened on October 1, 1958. In the mid 1980s and 1990s, it underwent two expansions and in June 2007 a new terminal was constructed. The new terminal covers an area of 54499m² with 11 parking jetways and is capable of handling 3 million passengers each year. Furthermore, its runway has also been lengthened and its width increased so that it can accommodate the take off and landing of jumbo jets such as the Airbus A380. It served as one of the diversion airports for air traffic during the 2008 Summer Olympics. Presently Hohhot airport is connected to 28 domestic cities by 26 air routes, it serves international scheduled flights to Ulan Bator as well as charter flights to Hong Kong, Russia and Thailand.